LS de Souza, JC Godwin, MA Renshaw and ER Larson. 2016. Environmental DNA (eDNA) detection probability is influenced by seasonal activity of organisms. PLoS ONE 11(10): e0165273. doi:101.1371/journal.pone.0165273. M Tan, LS de Souza and JW Armbruster. 2016. A new species of Panaqolus (Siluriformes: Loricariidae) from the Rio Branco. Neotropical Ichthyology 14(2). JC Godwin, LS de Souza, T Floyd, C Ewers, L Rucker, I Gross, CC Johnson. 2016. Cryptobranchus alleganiensis (Eastern Hellbender). Persistence in Alabama. Herpetological Review 47 (1): 99. LS de Souza, JW Armbruster, and DC Werneke. 2012. Influence of the Rupununi portal on fish distributions in the Guiana Shield. Cybium 36(1): 31-43. LS de Souza. 2011. Hydrological link between the Amazon River basin and eastern Guiana Shield on the Neotropical ichthyofauna. Doctoral dissertation. Auburn University, AL USA. GG Sorrell, SM Boback, RN Reed, S Green, CE Montgomery, LS de Souza, M Chiaraviglio. 2011. Boa constrictor foraging behavior. Herpetological Review 42(2): 281. LS de Souza, MRS Melo, CC Chamon, and JW Armbruster. 2008. Hemiancistrus cerrado, a new species of Hemiancistrus from the Araguaia River drainage in Brazil (SILURIFORMES: LORICARIIDAE). Neotropical Ichthyology 6 (3): 419-424. JW Armbruster and LS de Souza. 2005. Hypostomus macushi, a new species of the Hypostomus cochliodon group (Siluriformes: Loricariidae) from Guyana. Zootaxa 920: 1-12. JA Daniel, MS Abrams, LS de Souza, CG Wagner, BK Whitlock and JL Sartin. 2003. Endotoxin inhibition of luteinizing hormone in sheep. Domestic Animal Endocrinology 25: 13-19. Vriesendorp C., N. Pitman, D. Alvira Reyes, A. Salazar Molano, R. Botero García, A. Arciniegas, L. de Souza, Á. del Campo, D. F. Stotz, T. Wachter, A. Ravikumar y/and J. Peplinski, eds. 2017. Colombia: La Lindosa, Capricho, Cerritos. Rapid Biological and Social Inventories Report 29. The Field Museum, Chicago. LS de Souza. 2016. Rewa Eco-Lodge: Research Station and Ecotourism Wonderland. Explore Guyana, 26-29. J Godwin, LS de Souza, T Akre. 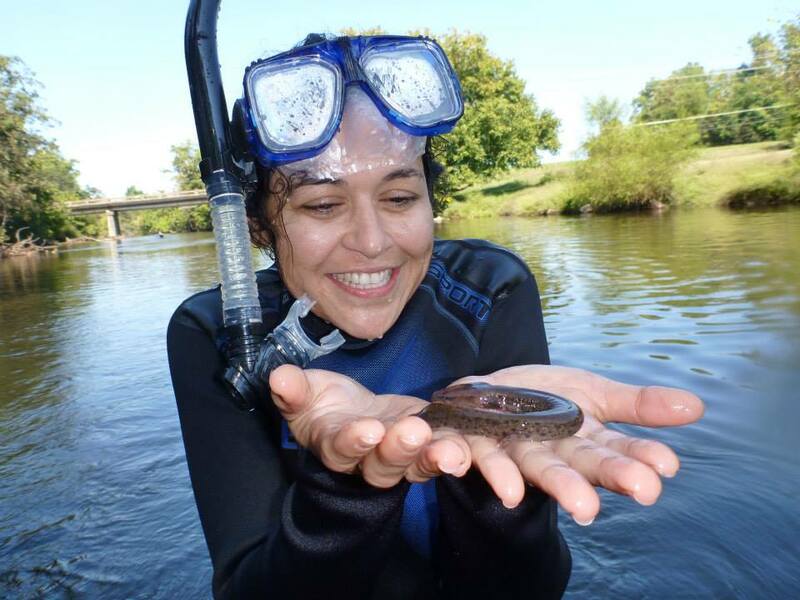 2015 "In Search of Ancient Beasts with Modern Technology: Aquatic Turtles and Environmental DNA." Turtle Survival, pp 40-41. LS de Souza. 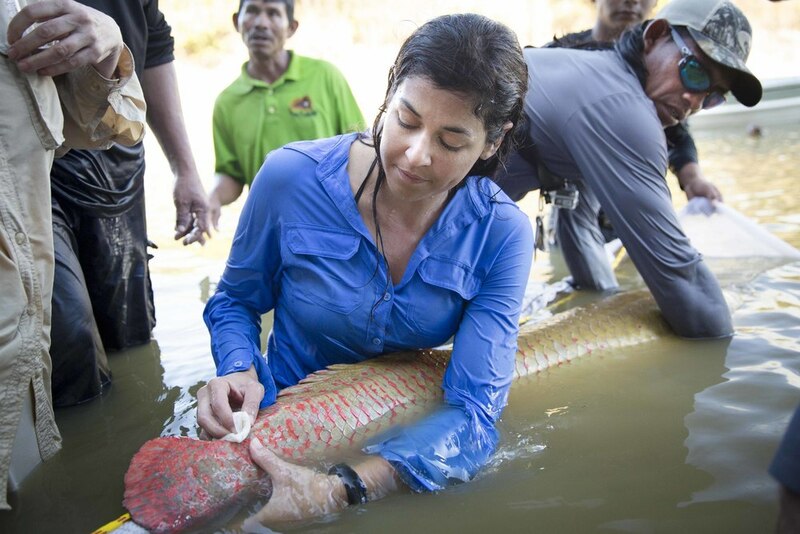 "Arapaima Research Taking New Heights: Aerial Tracking." Newswatch National Geographic. June 19, 2015. LS de Souza. “Dinosaurs of the Rewa River.” Scientist at Work. New York Times. January 22, 2013. http://scientistatwork.blogs.nytimes.com/2013/01/22/dinosaurs-of-the-rewa-river/.